In a meager attempt to keep some dialog going (since I haven't been able to do much worth talking about lately for one reason or another), I decided to follow up on my original comments after J.P.'s "Ferrari" toolbox pic. 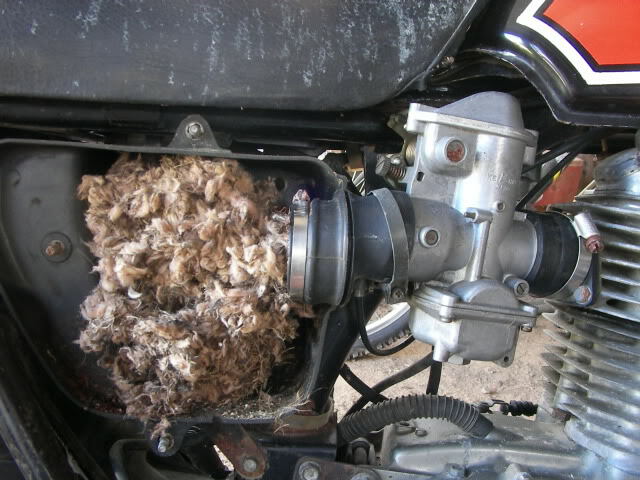 Thought it might be amusing to see some of the stuff folks use to work on their bike. And the stickers of course. 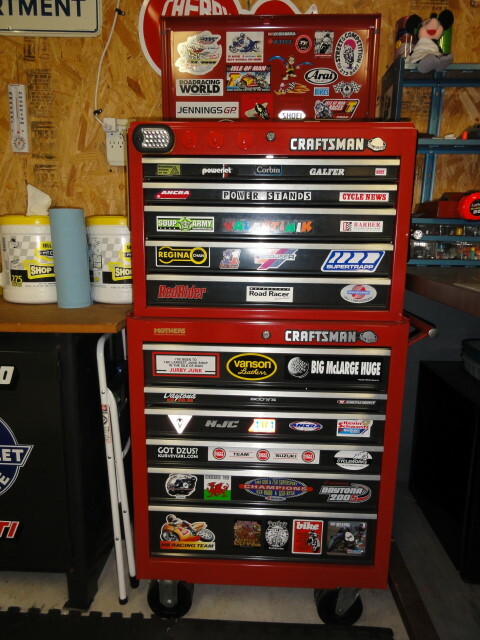 Toolboxes and stickers go together like... Er... Two things that go together. Closeup of my many, pointless stickers. I have a Sears ratchet set no stickers on the case though. Oh right! Smilo gets out the photo shop! 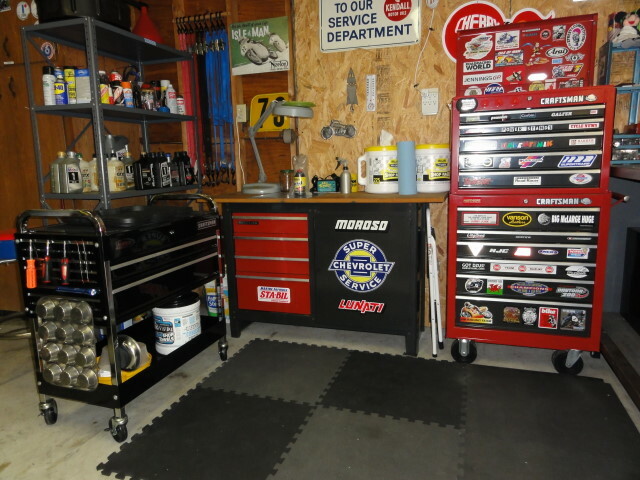 Nobody has that many tool boxes! Well... Maybe if you run a Beemer you NEED that many tools! and adding some of them actually being used! ...And the 'OOps! Kawi in the ditch incident'? and the 'OOOPS... Kawi in the ditch AGAIN!' episode? 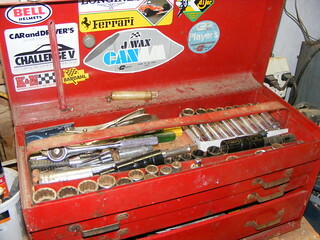 I seem to have a real need for tools... Maybe I should get more organized in bigger boxes! Funny looking at the stickers though! I remember getting them all and some of them date from the 70's! Smilo, while examining yours (legitimate, it would seem!) I see you have a mascot. Is that a Fraggle Rock refugee? Well, my unofficial mascot back in the racing days was a stuffed Rodger Rabbit... But, he retired with me. 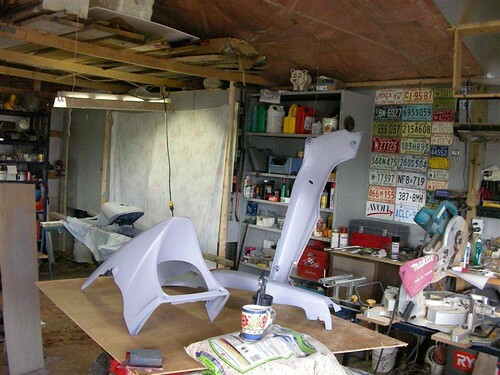 What you see is kind of a "defacto" garage resident. On one off-season trip to Disney, EPCOT was apparently stuck with stuffed Mickey's dressed in the clothing of a 1000 nations, or some such. Anyhow, they threw a random one in the bag when you bought something. So, I ended up with Greek Mickey in a Toga (Apollo, Prince of Mice?). And somehow it ended up on that shelf. 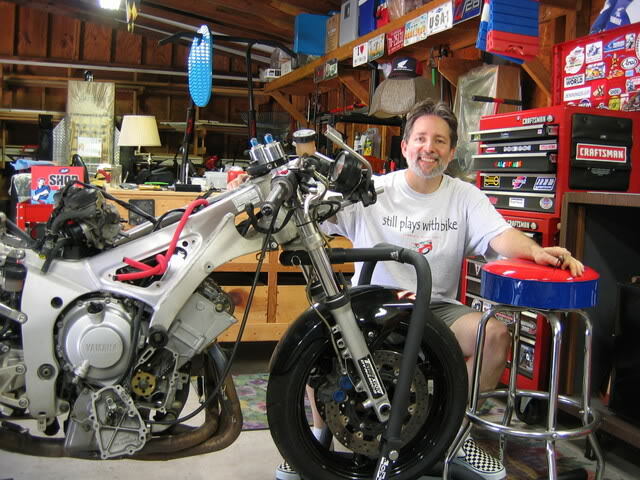 Oh yes, here is a (mildly old) shot of me looking like I have some mechanical skill. I remember the mouse attack. Hey! Smilo! You're cheating! 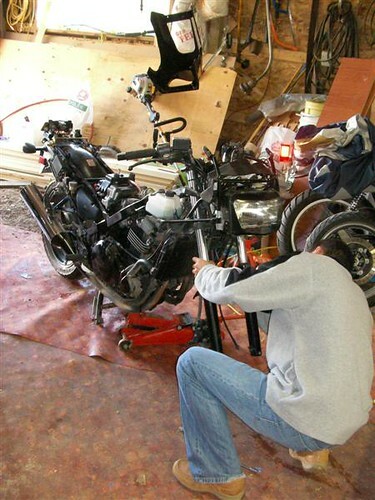 You appear to have some semblance of organization in your bike's dismemberment AND it's warm in your garage! It's usually about 1 degree above freezing in mine when I need to work on something. Now that you explain it though, I do recognize the mouse. Well admittedly, the seeming organization was probably a bit staged (or the picture carefully cropped). 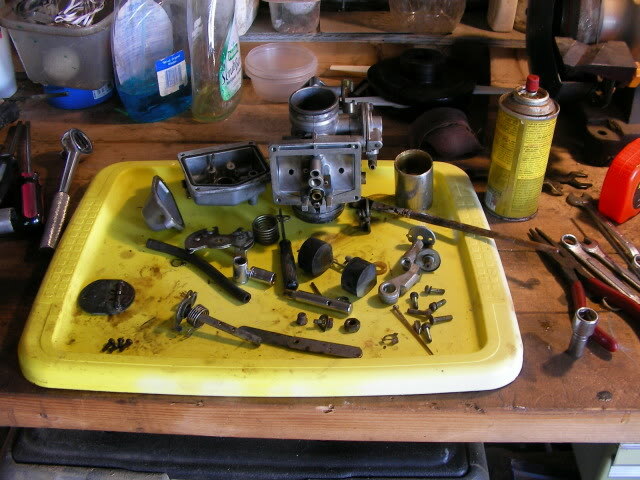 There were a lot of parts all over as I recall. Yes, the garage was warm there, which probably means it was closer to winter. If It was summer, I would have been soaked with sweat, and the camera would have a fogged lens from the humidity. 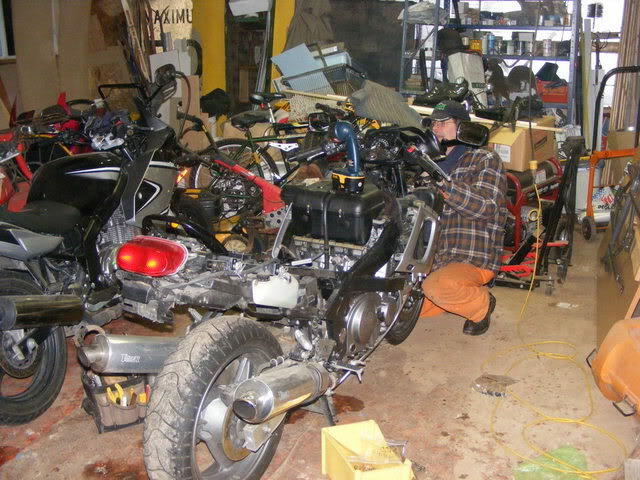 I was just out there doing a bit of bike maintenance last weekend and it was a killer!